I’m like all the other girls; I’m Samantha, an arts management graduate since two years ago, gallery girl since seven months ago, a twin since 21 years ago, I enjoy being long-winded, my perennial passions lie in feminism, visual culture, twin-ness, dystopia and eschatology and the romance of many things. How did you end up in Curating Lab? I found out about it in 2012 but didn’t felt ready to apply then. Two years later, I still didn’t felt ready. It was May and I had only just left school a few months ago. I was only in my third month at Silverlens and I still felt very raw. But. I realized I would never ever be ready, so I applied and I’m here. It’s been great, I’ve been learning so much from my peers. What has been your favorite moment(s) in Curating Lab so far? Visits to Amanda Heng’s studio – curry puffs, chamomile tea, conversations and Conditions of Production. Group discussions over food, laughter and drinks. What do you do at Silverlens Galleries? What should I know about Silverlens? Photos by (left) Germaine and (right) Melvin. I’m the gallery assistant at Silverlens. I do a little bit of this and that, everything and nothing. I do some of the administrative grunt work that goes behind undertaking art fairs or setting up exhibitions. I sometimes smile at visitors too. Contrary to common belief, I don’t detest my job scope; I see it as a very important and often overlooked aspect of the exhibition-making process and by further extension, even the curatorial. I’m happy to assist. I’m absorbing a lot just from being here, whether as a shadow or a self. Silverlens (Manila and Singapore) was founded by Isa Lorenzo and Rachel Rillo in 2004. It started out as a photography gallery but has since branched out to encompass and engage other forms of contemporary art. What’s something I value a lot about (being in) Silverlens: the women. Buzz words: art world equality. What has been your most memorable exhibition at the gallery? 99% by Gary-Ross Pastrana. A show of just one work. Art within its own set of valuation. Gary’s sculpture, noticeably, 99 percent metal parts and one percent gold, is the strange opposite of what it appears to be. He acquired an old car, got it scrapped and sold most of the scraps, save for one small percent. The money earned was in turn used to buy gold – which took the form of a small golden ball dangling inconspicuously like a Christmas ornament. Everything else is the initial one percent of the car scraps that he had put aside. I can’t just pick one. I’m going to squeeze in another. My favorite show at Silverlens, so far in my time, with them is The First Kiss on Earth by Chati Coronel. Chati imagines the kiss in a time before language, deliberating on the possibilities of unifying and separating forces being one and the same. These series of paintings were very real to me, speaking to a dull unidentifiable ache…perhaps the enduring ache of our times, an affliction stirred by the desire for union and connection. Has your understanding of curating changed since being part of Curating Lab? Of course. Off course. Many times, it has meandered and presumably gone off course but I find that these detours can be productive. What are you up to at present? / What’s next for you? At present, I am still trying to figure the future out. More tangibly, I am preparing for our last show of the year at Silverlens. I am trying to plan my vacation. Right at this moment, I’m thinking a lot about Uterus Man by tech artist Lu Yang. Curatorial activism (via Maura Reilly) has also been a lot on my mind. Not so presently but always urgently at the back of my mind, I am trying to come up with a show proposal for Silverlens next year. Probably University. Probably trying to concretize some ideas, work on new projects. Probably nothing. The Great Gatsby by F. Scott Fitzgerald and 1Q84 by Haruki Murakami. 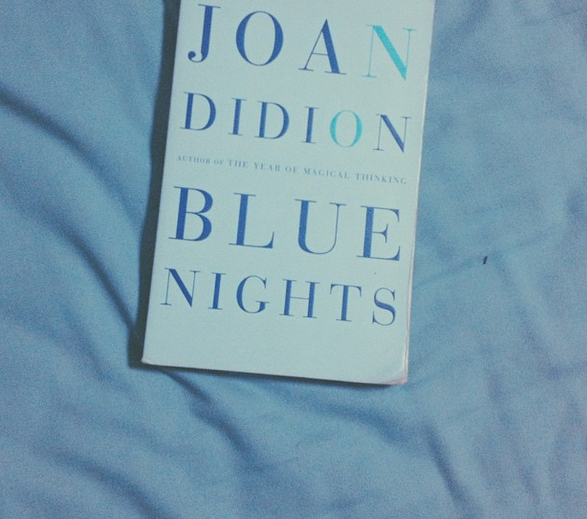 I’m currently reading Blue Nights by Joan Didion. I’ve been reading this book slowly and consistently since Curating Lab started. It’s been a torrid six-month affair. The book makes me sad. It keeps me awake. I’m really enjoying the works of Lee Bul and Amalia Ullman right now. (left) Lee Bul, Cyborg Red, Cyborg Blue, 1997–98. (right) Lee Bul: From Me, Belongs to You Only installation view. Excellences & Perfections, 2014 (detail). Performance: Instagram. Source.